Four out of five adults in Brighton & Hove are non-smokers. 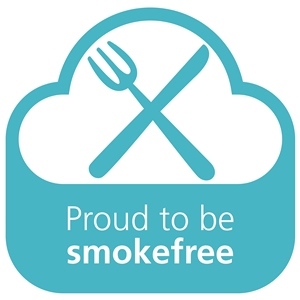 The voluntary smokefree outdoor dining scheme enables local cafes, restaurants and pubs to support no smoking in areas where people eat and drink. In 2015, the council surveyed residents on their views to extend smokefree public spaces. Over half of non-smokers who responded supported smoke free outdoor dining areas and felt they would use the spaces more frequently if they were smokefree. As a result, we consulted local businesses and developed a voluntary scheme to introduce smoke free outdoor dining areas asking smokers not to light up where food is consumed. Businesses can be a part of improving and protecting the health of our community. To sign up and receive your promotional pack to support your efforts, please fill in our smokefree outdoor dining online registration form. If you would like to stop smoking find your nearest stop smoking service.